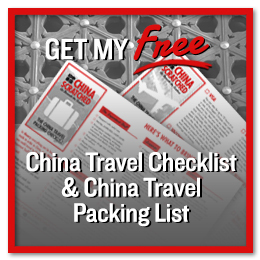 Home >> Travel tips >> So you want to go to China? 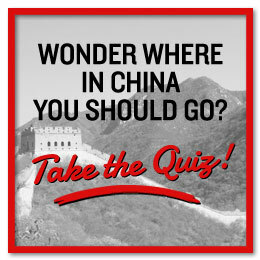 Posted | Comments Off on So you want to go to China? Going to China, is like saying you’re going to Europe: Not very specific. If time is limited, you need to make a plan to get the most out of your trip. Finding out where you want to go can be difficult, there are so many great places to see. To make it easier, here are some questions you can ask yourself. Do I want to see cities or countryside? Do I want to explore historical sights or nature? Will I follow the tourist trail or get off the beaten track? Chinese cities are great. Busy, full of sights and great nightlife, fun and with good food. This is modern China, this is where you see the result of 10% yearly economic growth. Cool skyscrapers, innovative arts, hip people, the extreme wealth and the best museums. Beijing, Shanghai and Hong Kong are the most international and exceptional cities in China. They are unique in their own way, with different architecture, historical sites and general feeling. Visiting just them will not give a complete picture of China, though. Other pleasant cities are Chengdu, Kunming, Xi’an, Guilin, Suzhou, Hangzhou and Guangzhou. They all see a lot of tourists, making infrastructure easier, but these cities have a more Chinese feel to them. Except for the western part of China, most of the country is countryside. Densely populated, but still rural. Roughly, the country can be divided in two by the Yellow river. North is flat and dry, the south is mountainous and fertile. Northern part might not be as pretty as the green hills and rice terraces of the south, but is worth exploring. You can visit places where families live in caves or old, preserved cities like Pingyao and Cuandixia. Driving out from Beijing, you can pass small villages and fruit orchards, while seeing the Great Wall on the hills above. 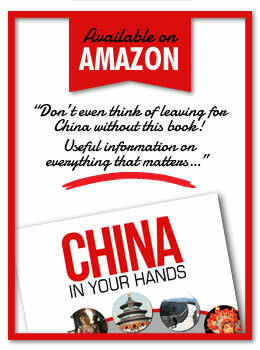 China has the world’s longest continuous history, and the evidence is everywhere. There are plenty of former capitals, archaeological sites and museums to keep any history freak happy. If you are interested in history, seeing some of these places is mindblowing. The Great Wall that you can visit in so many places, the terracotta warriors outside Xi’an, the buddhist grottoes in Dunhuang, ancient ancient capital of Luoyang with thousand year old stone carvings, the giant Buddha in Leshan, the list goes on and on. If you have a week in Beijing, you can be busy every day just visiting historical sites. For some, it can be history overload. If the thought of too many museums, temples and carved buddha statues scare you, there are places where nature is the main attraction. That being said, remember that China has been populated for 700 000 years, so finding places not touched by humans are close to impossible. Even in the natural parks and special areas, there will be stairs, pagodas, small temples, mini buses, cable cars and souvenir sellers. Still, they are there for a reason. China has some great natural wonders, please don’t ask me to choose between the green sugar top mountains around Yangshuo, the grasslands of Inner Mongolia, the holy mountain Emeishan or the special landforms in Zhangye. Luckily, it’s easy to make combinations of all of the above. Beijing, Xi’an and Shanghai are great cities with lots of history. Chengdu is the pleasant capital of Sichuan province, that is home of Leshan and Emeishan (and the best, spicy food!). Some roads are more trodden than others, and the last question is which road you want to take. The popular places are popular for a reason, they are amazing, albeit a little crowded. The good thing is that they are easy to travel to, see and they offer hotels and restaurants of a certain standard. If you don’t like to travel rough, that is good. Most places that are not in the basic guidebooks are not so because it’s nothing particular to see, it’s too difficult to get and stay there, or less seldom these days: it has not been discovered yet. With millions of Chinese tourists travelling around every year, most places have been both discovered and developed. Maybe not by foreigners, but definitively by Chinese. You can’t see everything, you have to chose something away. But instead of focusing on what you are not seeing, make the most of the places you are going, and you will have an amazing trip!